The New Year will be kicking off with the Darkmoon Faire this year. Hopefully this is a good omen for the coming year for pet collectors! My plans for this month's faire are all set, and I should be ready to go. I even went out hunting for archaeology fossil fragments in preparation, and if this month's archaeology quest requires some other type of fragment, I should have enough of all of them to turn in. Except for Nerubian and Vrykul. Northrend archaeology is somewhat of a pain lol. So I'm all set for the DMF. Then right after the faire, another holiday (or two or three)! First up will be the Lunar Festival which will bring two new pets: the Lunar Lantern (alliance) and the Festival Lantern (horde). Both cost 50 coins of ancestry each (according to the official WoW armory) and are Bind on Equip. There's no way to test it yet, but I'm guessing that this will mean one toon will be able to learn both regardless of faction. It'll just be a matter of getting the pets across the neutral AH. I'll definitely be working towards getting both the new Lunar pets (if it's possible). I'm even leveling up a horde toon just for the occasion, heh. As always with using any auction house, everyone be careful and wary of your precious goods! I'm sure there will be lots of players and bots alike, ready to snipe any cheap and profitable pets that pop up for sale. Then just about mid-way through the Lunar event, TWO more events will be kicking off. Both the Valentine's Day in-game holiday AND the next DMF start on the same day. WHEW! I'm probably going to prioritize the DMF on that day, though. Squeeze in that extra set of dailies before reset. Only after the V-day event is over will we get a short breather before another DMF comes around. By then it will be March and the MoP beta might possibly be out? That's a complete and total guesstimate lol. In any case, the next few months are sure to be busy for newer pet collectors! For older collectors who have most of their pet collecting done already, there will still be stuff to do but it shouldn't be quite as hectic... hopefully. Anyway, here's hoping for a better pet collecting year in 2012. I don't know about everyone else, but I'm tired of being disappointed heh. Well, there are exactly 4 more days of Winter Veil which means 4 attempts left. At this point I've thrown all hope out and I'm doing the daily out of pure routine and stubbornness. I don't expect to receive Lumpy on my main collector this year. My gut has yet to fail me, so I suppose I just have to accept it. I haven't lost my spirit as a pet collector, but I have lost some faith and confidence in Blizzard. Shrug. Perhaps it's just meant to be a teeter-tottering type of love/hate relationship. Whatever. That'll teach me to get any hopes up. What goes up, must come down. If all else fails, I suppose I could try my hand at the DMF PVP chest. If I can manage to loot it 3 times during the next faire, it would make up for the Treatise artifact. Let's just call that "plan B" heh. The next DMF pets I plan on getting are the Darkmoon Zeppelin and Darkmoon Tonk. I hear Lil' XT doesn't play so nice with them. *Insert evil cackle here* ;) After experiencing such a disappointing and depressing holiday, I'm up for some destruction. Oh, and if I had to choose between a grind for pets like the DMF or the randomness that is the holiday loot pets, I'd choose the DMF any day. Hands. Down. One may ask, 'What's the difference between waiting for the DMF and its pets and waiting for each holiday to come around once a year?' Well nevermind that the DMF comes every month while the holidays are a one time event (for however many varying days) per year, there are key differences that make one stomach-able while the other is absolutely detestable. On one hand, there's the fact that at least with the DMF, I'm compensated for my efforts. For every quest I turn in and each daily completed, it helps advance me to an end goal. The holiday pets, on the other hand, well there's nothing to be earned but disappointment there. Not to mention there's no guarantee of anything no matter how long I stick to completing each holiday daily. But the DMF dailies, quests, and turn ins are all guaranteed to reward me with pets so long as I don't quit. Yes, I'm perfectly fine with waiting for weeks on end for just 7 days' worth of time to collect maybe one or two pets, yet it's painfully brutal to wait for year after year for another chance at a holiday RNG dropped companion. One involves determination and true effort on my part, while the other is purely a gamble. It's these subtle and psychological differences that make or break a system. I see this. Many other collectors realize it. Now if only Blizzard would acknowledge it and take it into consideration so change can start in preparation for a better and more balanced future. I'm done with holding my breath, though. MMO-Champion has an unofficial breakdown of companion pet statistics (~6.4 million level 85 character sample size, many toons are alts). The full list of pet stats can be found in the comments of the post. According to these stats, Mr. Chilly is the most common while rarest is Poley. What I found most amusing about this particular post was one of the comments: "Kinda surprised about the Lump of Coal. I figured that'd be something nearly everyone would've gotten after a week or so of doing the daily." Really though, Lumpy being nearly on par with pets that require RL money... that says just how bad of a droprate it is. And yes, I realize that this is just a small sample size, plus the first year in which Lumpy is offered therefore a likely somewhat inaccurate breakdown for this specific companion. Still. Doesn't exactly inspire confidence in the droprate or the holiday loot system, does it? It's one thing coming from a biased pet collector like me, who has something to lose when it comes to completing the daily each day during this holiday. But when a guildmate tries it for the first time, one who has nothing to lose and doesn't collect pets at all, comments "how was that supposed to be fun?" and asks why anyone would do the daily/subject themselves to such disappointing rewards everyday, it really speaks volumes about this RNG holiday loot system. Still no Lumpy, and I have a feeling I simply won't be seeing him on my main toon this year. Sorry, Pebble. You won't be seeing a new playmate any time soon. Blizzard wants you to remain lonely for a while longer. If there was a competition for "most psychic", my gut would be a pretty good contender. Did my usual round of log in, do dailies, and get disappointed this Christmas morning, except with the slight difference in disappointment. Upon logging in, I just had this sinking feeling in the pit of my stomach. Part of me knew that I would experience a different type of disappointment today. It was just one of those gut feelings, yenno? It's not THE worst case scenario ("the" worst scenario would be not seeing Lumpy AT ALL), but it's still a pretty undesirable outcome: I found Lumpy... while on a non-collecting alt character. You'd think that bit of blue text would send me into a fit of overwhelming joy and relief, except it didn't. I'm pretty bummed out still. It would be different if Blizzard could guarantee all companions will be Bind on Account in the expansion or near future. Or perhaps more details on the new BoA system to help reinforce that this feature will really be implemented "soon". Right now I just don't have the confidence in Blizzard's claim of BoA pets, to believe that finding a companion pet on an alt is of any benefit or worth to me. And maybe I'm just too stubborn, but even with that guarantee I think I would still be disheartened about receiving Lumpy on an alt rather than my main collector. Needless to say, I didn't learn Lumpy on my alt. I'm going to hold out until my main gets it or hope that Blizzard has a heart and makes Lumpy BoE or BoA (before MoP). For now, it's going to just sit in my bags while my main toon continues to be disappointed day after day. There is still about one week before the end of the in-game event, which translates to 8 attempts left. I'm really discouraged at this point though, and haven't found the heart to log in to do anything else except raid during raid time and complete the Winter Veil daily. Part of me wonders why I even bother to put myself through this type of stress and anxiety. It doesn't get any better or any easier with each new pet added for a holiday. The RNG just keeps beating you down until you're pretty much doing it out of habit or routine rather than to experience the fun. What would PVE players think if they were allowed only two weeks out of the year to roll ONCE per day for a chance at a piece of epic gear? I'm sure all hell would break loose on the forums and Blizzard would have no choice but to rethink and redesign their loot system. The excuse with continuing this holiday RNG monstrosity of a system is that it's "optional" and it doesn't really impact gameplay (a vanity). Well the term optional is relative and gameplay is subjective. To a PVP'er, RP clothes is optional and getting that last cloth piece for a "fun" set doesn't have much effect on their gameplay. Yet for a RP'er to NOT complete their costume would be unacceptable and would have a large effect on their gameplay. It's the same thing for a pet collector. One pet out of many actually does make a difference, and whenever possible or wherever applicable, collecting a pet is NOT optional and IS the gameplay. Anyway, another rant for the end of the year. If I had to find the silver lining in this it would be that my gut has yet to fail me when it comes to predicting things. So cheers to that at least. Heh. Despite being a grumpster this in-game season, Lumpy still has not graced me with its presence. Sigh. I don't know if you've noticed this... but I'm not having fun hoping for Lumpy. Note the use of "hoping" instead of "hunting". Yes, that's pretty much what I and many other collectors have been reduced to when it comes this companion as well as the other holiday loot-bag dropped pets. Rather than working hard and being rewarded for our efforts, all that can be done is pray, hope, and agonize for those few weeks out of the year. The determination? The persistence? The patience? And all those other awesome, POSITIVE qualities that MOST other pets bring out in a pet collector? They mean NOTHING when it comes to certain RNG based holiday pets. Instead it's all left up to chance. In all fairness, some players may find this type of random system "fun" and "exciting", but many members of the pet collecting community do not. Can there be no compromise? Where is our small slice of the fun-pie? Yes, it's time for that angry tree macro. MMO-Champion has a new video preview of the Soul of the Aspects (datamined from the 4.3 PTR but wasn't released onto live servers... yet?). There's still no information on how this pet will be obtained but hopefully some details will come soon! Now that the hunt for Lumpy is on, I've been hearing and reading a lot about other collectors trying for this pet on multiple toons and many hoping for it on an alt. That makes sense given that Blizzard recently announced that they plan on making most (if not all) companions Bind on Account. Unfortunately for me, this notion still doesn't ease any anxiety or nervousness about getting this pet. Although Blizzard has said they plan on making companions BoA in the next expansion, there is no guarantee that this feature will go live. Things could change at any moment between now and the release of MoP, including the implementation (or exclusion) of any new systems/features. There are also a lot of unknowns, such as what exactly does "Bind on Account" entail? BoA as in bound to all toons in a single Battle.net account? BoA as in only accessible by toons on a server on a single WoW license? What about servers with multiple characters across both factions? Will pets be sharable between them too? In the end, there are just too many unanswered questions for me to feel as though I can take it easy this holiday season. Not to mention that I'm more of a completionist and would MUCH rather collect any and all pets on a single toon, regardless if the companions become BoA. But as Ritsuka said on the WarcraftPets Forums: "Desperate times." Pretty much sums it up. Don't get me wrong, I do plan on trying for the pet on multiple toons "just in case", but I will still be pretty disappointed even if I do manage to snag Lumpy on an alt rather than my main. Perhaps I'm just too uncompromising in this sort of situation. All that said, I'm not exactly feeling that much excitement or enthusiasm about this year's Feast of Winter Veil like I thought I would. I'm actually experiencing a heavy, sinking feeling in my gut that feels more prominent than previous in-game events. It's unclear why this event is so different than others, but it's definitely discouraging to say the least. I'm wondering if it has to do with the repeated exposure to this type of situation during each holiday season. Normally I give Blizzard the benefit of the doubt and try to maintain an open mind when it comes to their systems and implementation of companions, but I still can't say that I'm for this whole idea of a one chance per day, entirely RNG based, holiday loot bag theme they have going on. I've spoken numerous times about why, so I won't go into detail this time around. Not that it matters much, though, since it doesn't appear that the developers have any plans of changing how this system works. What would be a lovely holiday surprise would be collectors who were unlucky in finding Lumpy within the Stolen Gift, under the holiday tree at the end of the in-game event. Those that managed to nab the pet would receive an alternate gift instead of Lumpy. This way nearly everyone will get theirs' and all the time and emotions invested in collecting the vanity pet will not have been for naught. Anyway, there's still hope (there's always hope, even if it's just a glimmer) and there's still lots of time to find that (seemingly very) elusive Lumpy. I just needed to get all of these downer thoughts out before they consume me entirely. Looks like the EU Blizzard PetStore is getting a holiday discount as well as the NA PetStore. Until January 2, the Pandaren Monk is now half off in the EU store! For the NA store, this pet sale still ends on December 19. I've Been Very Bad, Promise! Well, day 1 of Winter Veil yielded no Lumpy. At least the new daily was quick and painless (hooray for riding on another group's Greench kill? lol). One day down, 18 more chances left. Despite this being one of the longer in-game holiday events, one chance per day where it's completely out of my control whether or not I randomly receive the new pet... let's just say it doesn't induce very festive feelings in me. Hopefully Great Father Winter hears my plea and decides to give me a "Lump of Coal" before the event ends. Sigh. But in more lighthearted news, we finally get to see what the updated Winter Veil companions do when the holiday is actually in full swing! Both the Winter Helpers summon and ride their own miniature reindeer when you mount up on a ground mount. Pretty cute! According to a tweet from Atlasloot and a Wowhead comment, there may be a chance that players will be able to loot the old and original bot pet from 2007, the Clockwork Rocket Bot, from this year's daily reward, the Stolen Present. Currently no one's sure if this is a bug or if this is an intended drop (along with Lumpy), so we'll have to wait and see how things play out. I'm curious to find out if the Clockwork Rocket Bot is still BoP or BoE if looted from the Stolen Present! Edit: Atlasloot says it's still BoP even if looted from the Stolen Present. Sadness. :( Guess that means I'll be destroying bots on the toons that already have it. Poor pets... I delete you with love, promise! Can't wait to add this companion to my collection. I wonder how big it will be relative to my character. Right now it looks pretty big but looks can be deceiving when there's nothing to compare it to! The title of this post says it all. DMF may be over but another in-game event is about to begin: The Feast of Winter Veil (coming soon to a major in-game city near you - this Thursday, December 15)! For this holiday, instead of an instanced dungeon boss, it sounds as though players will have to team up with a group to kill an outdoor boss for a holiday loot bag each day. I'm not entirely sure how this will work, but the idea behind it sounds the same as a holiday dungeon boss. You get one shot per day, one holiday loot bag per day, and one chance for a holiday vanity item per day. I'm starting to get used to the whole "YOU'RE UP AGAINST LMNOPXYZ FACTORS, DEAL WITH IT" holiday thing that Blizzard seems to be so fond of, but depending on how they pull off this year's Winter Veil loot bag... I may just rage a bit. - Found within a Stolen Present: Lump of Coal! Alright, so why will I possibly come to detest this new daily? Like I mentioned earlier, it all depends on how it's implemented. There are a few unknowns, so I can't form a complete opinion about it yet. First things first: the droprate of Lumpy. Because this isn't a one time quest and it's a daily, my best guess is that the corresponding companion pet will NOT be 100% droprate. If it is a 100% droprate, then my mistake, thank you Blizzard for leaving out the RNG factor! ....But I don't plan on holding my breath. Secondly, will the objective for this new daily be a phased group quest? Or are we going to have to world PVP and fight with other players over the spawn of this outdoor "boss" (Abominable Greench)? In previous years, the greench has been an outdoor spawn, and it was pretty much whoever tagged it first got the kill. I can't remember the spawn rate, but if it's a slow and low one, there are going to be many groups of 5 just camping the area (not to mention other players' bodies on PVP servers). So worst case scenario would mean that on top of the first 4 factors that pet collectors already have to contend with during holidays (where companions come purely from holiday loot bags), we may also have to "fight" with each other over the quest objective. Sigh. It's easy to see why I might end up raging this Feast of Winter Veil, right? But like I said before, there are a few unknowns and it may not turn out to be a worst case scenario. Hopefully the droprate won't be THAT low, or the greench will be a phased spawn for each group looking to kill him and complete the daily. This is another one of those cases where I'm excited and anxious yet extremely disillusioned at the same time. While I enjoy each holiday season and in-game event (hell, I'm even starting to get used to being on the short end of the stick as a pet collector during the holidays where a pet comes from only a loot bag), I still can't say I approve entirely. Anyway, despite my somewhat pessimistic and cynical outlook on the upcoming Feast of Winter Veil, I am looking forward to the in-game event. I may not be ready for the holidays IRL (getting gifts for friends and family is brutal for someone like me who doesn't have a clue where to begin most of the time! ), but I'm ready to face whatever Blizzard has in store for us in-game. There still seems to be some confusion as to how some players are buying more than one pet this month. Although a blue did confirm that 145 tickets each month is the amount of prize tickets that can be earned, it's entirely possible to earn EVEN MORE through the Darkmoon Deathmatch. By looting the chest, a player can earn up to 5 extra tickets each time! Only one player can grab the goodies from inside the chest though, so it's every man/woman/child/animorph/blob for themselves. Be ready for some do or die competition. Personally, I'm a bit glad that I can't buy all the pets all in one go. I actually have a reason to log on outside of raiding, farming for mats for raid consumables, and hunting for that odd transmog piece that may complete a set. Now I need to hunt for those artifacts before each DMF so I'm well prepared once it does come around again. It's not such a terrible farm/grind either because I'm doing it for something I'm passionate about: vanity pets. So farewell DMF, until we meet again. It will be sooner than you think! UPDATE: Confirmed! Lil' XT will interact (and ultimately destroy) the Darkmoon Zeppelin. Thanks Neuropathy for testing this! I'm still not sure about the Darkmoon Tonk. I've read a couple reports that the Darkmoon Zeppelin is destroyed by any nearby Lil' XTs and Landro's Lil' XTs. Unfortunately, I didn't purchase the zeppelin as my first pet this month, so I'll have to wait until next month to test this out myself. If anyone who did buy the zeppelin could test it out and confirm/deny this for me, that'd be very helpful! For those that bought the Darkmoon Tonk, I would also bring it out for Lil' XT to "play" with and see how they get along. The other Darkmoon companions, while they are adorable and all, haven't proven to be very animated and don't do much of anything outside of the norm. So I'm pretty eager to find out if this interaction between Lil' XT and the zeppelin and/or tonk is true or not. It would be the first Darkmoon pet(s) with a unique animation. I guess in celebration and anticipation of the next WoW expansion, MoP, Blizzard's cutting the price of the Pandaren Monk in half! Normally this martial arts, beer drinking bundle of fluff is sold for $10 (USD) from the official Blizzard PetStore, but from now until December 19 you can purchase the monk pet for $5. NOTE: As noted on my Darkmoon Prize Tickets page, completing the dailies before they reset will net you an extra days' worth of tickets (5), bringing your monthly total to 150 in an ideal situation. Being able to collect artifacts even when the event is over is GREAT news for collectors! This means we'll be able to make the most of our time and be sufficiently ready for the next DMF. Not to mention we won't have to grind in a panic when the faire is in town for extra artifacts in preparation next month's faire. Although Bashiok did not specify that artifact turn ins would indeed be repeatable each month, the total tally that he provides indicates and implies that they will be "monthlies". I'd also like to note that the Bind on Pick Up nature of the dungeon dropped artifacts (so long as you don't right click and accept the quest given by the artifacts) that was officially stated by Blizzard doesn't seem to be true (at least last I checked). Perhaps this will change in the future, but for now farm your heart out and check the AH for any artifacts that might be especially tough for you to find. I just bought my first Darkmoon Faire pet, the Darkmoon Monkey! What a cutie, but I still wish he had a unique idle animation or interaction with the environment, players or other pets. I can just see him throwing a banana peel at someone, causing a slip and fall animation (that doesn't actually stun or impair the player, of course). Oh well. Even without an animation, I'm happy to add him to my collection! For those who are wondering how it is even possible to have enough tickets already, if you find and turn in enough artifacts, you can gather enough tickets to purchase one pet. I made it a point to gather at least one of each artifact and turn them in. I'm just missing A Treatise on Strategy which sounds like a classic Cata 5 man Heroic drop (not from the new Hour of Twilight heroics), and the Soothsayer's Runes which is a 10 or 25 man raid drop. The artifacts are surprisingly easier to obtain than previously thought, so long as you have the time and energy to farm for them. Although the dungeon artifacts are not 100% drop rate off of bosses, they can come from lower level instances. This means a max level toon such as myself can solo older content over and over again until an artifact drops. Whether or not this is a bug, I don't know. Seeing as how most of the artifact quests only require level 15 to begin, this may be intentional. Only the classic Cata 5 man Heroic and raid artifacts require level 85. Now that I have my first DMF pet, the rest of my week will be spent on finishing up dailies each day and hoping for those last two artifacts to drop for me. Unfortunately, because of the reduced ticket reward change, I'll only be able to purchase one pet this month. Next month, though, if all goes well, I should have enough to purchase two. Hopefully the artifacts will be repeatable next month. We'll see! I gave Breanni a hug and made sure to pet the little penguins wandering around the area. :) Such nice and cute details are what makes events like the DMF so neat. The Sea Pony was a quick catch for me as well as many of my guildies. Only 10 casts and I reeled mine in! I'm not sure if Blizzard will nerf the droprate or not (I've heard some players are having far less luck with fishing up this pet). We'll see. I've completed all my dailies and profession quests, so now I'm just working on the miscellaneous quest to collect 250 trophies. It seems as though you need to have the killing blow for it to count and give you the ear. This is unfortunate for healers in 5 man dungeons and battlegrounds, and I guess that means I'll be heading out to grind out trophies on my own. So with artifact hunting, trophy grinding, and daily completing, I'll be keeping busy for a bit! My goal is to purchase at least one pet this week, but we'll see. With the reduced number of tickets rewarded for completing the dailies, I'll definitely need to find more artifacts to turn in to collect enough tickets to buy a pet. Just confirmed on an oceanic realm that the number of tickets rewarded for dailies has been reduced. Unlike on the PTR where the dailies awarded 5 tickets, they only award 1 ticket on live servers. This drastically reduces the number of tickets earned each month, and will change the number of pets that can be purchased. It also means it's going to take longer than 3 faires before all six pets can be acquired. Bummer! I'll have to redo my calculations on my Darkmoon Prize Tickets page. If my calculations are correct, in an ideal situation (that means 8 days worth of dailies PLUS turning in all of the profession quests, misc quest, and artifacts) it will take AT LEAST 4 months for players to acquire all six DMF companions. Completing the dailies for all 7 days, the profession quests, and the one misc quest would mean it would take at least 5 months to collect all the new pets. This calculation doesn't include turning in any of the artifacts. So while it's not a huuuu~uge change, going from 3 months to a minimum of 4 or 5 is a bit of a downer. Not to mention that there's no guarantee on finding or winning any of the DMF artifacts. Oh, that and the change so that some of the artifacts are Bind on Pick Up instead of Bind on Use. I guess it just means pet collectors will be grinding on dailies for longer than first anticipated. Note: Although Blizzard has officially stated that any artifacts found within dungeons are BoP, I can place them on the AH and mail them. This might also mean they're tradable. I'm not sure if this is intended or a bug. Well as of 4.3, it looks as though Pengu's been taken over by an eerie spirit again! Pengu has his awesome unique crimson eyes back as of the latest patch. Whether or not this was an intentional change, I'm not sure. It's also unclear if the re-haunting of Pengu will stay this way or if developers will find him another priest to exorcise his demons out lol. Either way, I'm glad he has his iconic eyes back! It really sets him apart from Mr. Chilly, however creepy it may seem. The Darkmoon Faire comes to town tonight! For Oceanic realms, it's already up and running, so don't be surprised if some players are reporting that they've fished up the Sea Pony already. I know I got way too excited and thought Blizzard had made it available outside of the faire event, but El reminded me about the whole time difference thing lol. It's likely you'll still only be able to fish up the Sea Pony while on the Darkmoon Island (which is accessible only when the DMF is in town). But please correct me if you find out otherwise! Also, tonight WarcraftPets.com reveals the updated website. Follow their Twitter and Facebook page for updates on how the site maintenance is going and any extended maintenance that might occur. Tonight's going to prove to be a hopefully productive night! But I'm Not a Greench! Since this is a daily quest, I'm wondering if it's supposed to act like the other holiday loot bag companions, and Lumpy will not have a 100% droprate. One try per day throughout the in-game event, except the "holiday boss" isn't in a 5 man dungeon this time. Hmmm! We'll have to wait and see. Although Lumpy will probably share the same model as Pebble and other rocky elementals, I think it's kind of cute that he's a piece of coal. Who says receiving a lump of coal during the holidays has to be a bad thing? Not I, especially if it comes in mini-pet form in-game! :P I wonder if it will have any idle animations. Being coal... will it be flammable? lol! According to an official Blizzard customer support statement, artifacts found within dungeons are now Bind on Pick up (previously not BoP on the PTR). "However, as any of the carnival folk will tell you, it’s every man for himself out there. Quest items acquired from dungeons are Bind-on-Pickup, and once the quest has been accepted, the item will no longer be able to be traded." I'm not sure if the artifacts found in battlegrounds are still Bind on Use, or if they will also fall in line with the change to the dungeon artifacts. BG artifacts cannot be rolled on by other players, though, and can be picked up only by the person that is looting a slain opponent's corpse. Artifacts found in 5 man instances may be rolled by all players that can see the item (in other words, those with the Adventurer's Guide in their inventory). While this change to the artifacts may not impact many pet collectors, it's still something to keep in mind when collecting tickets for the new Darkmoon Faire pets. According to Atlasloot's tweet, the datamined Lunar Lantern and Festival Lantern will be from the in-game holiday Lunar Festival event for 50 coins of ancestry each lantern. Last I checked on the PTR databases, the Lunar Lantern is the alliance version while the Festival Lantern is the horde version of the pet. This may have changed since then, but we'll have to wait for the holiday to come around to find out for sure. Note that both are Bind on Use, though, so it's likely that players will be able to acquire both on a single toon for their collections either way. :D How players manage to get both on one toon if there are horde and alliance versions... well that's up to each person to sort out. :P I know I'll probably need to level a horde or bug a few horde acquaintances for a pet trade! Patch 4.3 is finally here! I've been busy all day with moving gear around, transmogging, raiding the new Dragon Soul raid, and of course playing with my new Purple Puffer. The rest of the new pets will have to wait until next week when the DMF comes into town, but there's still plenty of stuff for me to do! I'm a little disappointed that the hearthing animation for the Winter's Little Helper and Father Winter's Helper didn't make it with the release of the patch. Instead of the helpers hearthing, it seems as though you send them back to their workshops with a bit of wintry and snowy magic. Oh well, it's still an interesting change. The Tiny Snowman disassembling shortly after being summoned still breaks my heart, though. :( Poor little guy. GOOD NEWS EVERYONE! MMO-Champion is reporting that patch 4.3 should be out this coming Tuesday. *Insert nonsensical squee here* But of course, there's no guarantee and all we can do is bite our nails and anxiously wait and see. Also, MMO-Champion has some screenshot previews of the last few pets that we haven't had much access to yet. They were datamined from the 4.3 files, but we probably won't see them any time soon. If you missed previews of any of the other new pets datamined in 4.3, be sure to check out MMO-Champion's companion pet page that's linked above. For a text only and less image intensive list of the new 4.3 datamined vanity pets, you can skim over my list of the upcoming pets. It's still not clear if patch 4.3 will drop this coming Tuesday or the next, but so far it's looking more and more like the next content patch will go live during the first week of December (or even later). The PTR sounds as if it's still up and running (although I haven't checked recently), and normally the PTR is taken down a bit in advance before a new patch goes live. So based on that, and the fact that there was never a concrete date for 4.3 (just when the arena season would end, which is Nov. 29), it wouldn't be far fetched if the patch came in early December. If that really is the case, that would put its release nearly in the middle of the Darkmoon Faire. It wouldn't be an ideal situation, since it would mean we'd miss out on a few days' worth of dailies (and dailies = tickets for pets), but the alternative would be the patch coming out after the faire has come and gone completely. At that point, we'd have to wait yet another month before we could access the new faire and get a chance at farming for the Sea Pony. It's a less than ideal situation, but if I had to choose, the lesser of two evils seems like being able to enjoy half of the revamped DMF than none at all. Right...? According to Wowtcg, the next TCG deck, Crown of the Heavens, is set for release some time in February 2012. 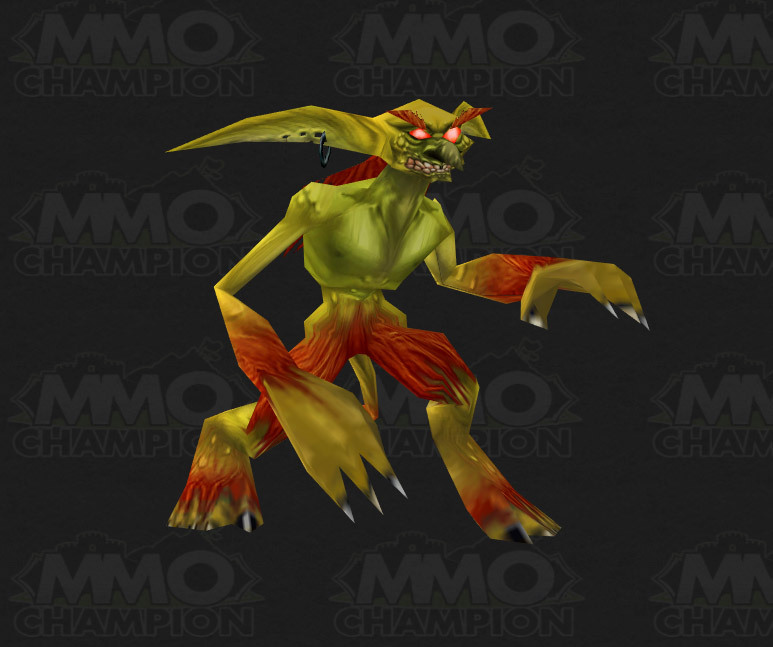 It was discovered on the 4.3 PTR that the common pet loot card for this next deck will be the Gregarious Grell. No Patch This Week? Turkey For All! Found an old screenshot of my hunter's pet and err.. a turkey. ;) So in honor of turkey week, and for all those Plump Turkeys with that uncanny sixth sense, have a safe and happy holiday week! The Waiting Game - Endless Mode! Now that the Darkmoon Faire is over, I haven't been spending as much time on the PTR. I really should be hunting for DMF artifacts since my characters got to keep the Adventurer's Guide from the faire, but I've been focusing my energy on finishing up my transmog sets on live servers. Silly me, and I have so little bag space as it is! BTW, there's still no official word on the rogue legendary weapon guild achievement and if it will indeed award the Soul of the Aspects or not. Maybe Blizzard's saving that as the final surprise? Waiting, waiting, waiting. We'll see! Just confirmed on the 4.3 PTR that if you log out on the Darkmoon Island prior to the faire ending, you'll get teleported back to where you zoned into the island once you log back in after the faire ends. Boo. That means you can't access the island if the faire's not in town. Looks like pet collectors will only have one week out of each month to farm for the Sea Pony. It shouldn't be too bad since the drop rate doesn't seem nearly as bad as say... the Fox Kit. Not to mention you can fish in relatively safe zones without fear of being ganked over and over, and there's really no threat of people "stealing" your kills. Whether or not the limited farm time will make this pet more rare, I don't know yet. We'll have to wait and see what actual droprates are like once patch 4.3 is released (coming soon! yay). Today I purchased the last two pets on the PTR, the Darkmoon Cub and the Darkmoon Balloon. Just in time since the faire ends tomorrow! Buying these last two on my alts left both toons with 0 tickets, so although I didn't start doing my dailies right as the DMF opened up (in other words, before dailies reset), I still earned enough tickets for exactly 2 out of the 6 new pets. Keep in mind that I also had to do all profession quests and the misc "test of strength" quest. Both the cub and the balloon are exactly the same in terms of animation and sound as the other feline and balloon pets. Personally, I'd love to see the Darkmoon Cub go into "stalking" mode since he's supposed to be from a mysterious faire. As for the balloon... how about the eyeball actually moves and follows you around like the one in the large sign at the entrance of the faire? It might not be very practical to put a moving eyeball inside a balloon, though, but it'd be awesome if the DMF did! Since I've been having trouble remembering the exact numbers and calculations for the Darkmoon Prize Tickets, I decided to consolidate all the information and write up something to remind myself. Things may have changed since the PTR (when this post was written), so feel free to inform me in the comments of any corrections that need to be made or of any information that I may have missed! Darkmoon Faire pets cost 90 Darkmoon Prize Tickets each. Need a total of 540 tickets to purchase all six companions. It will take at least 4 faires or 4 months for players to acquire all six pets. Results may vary. NOTE: The quests/items listed below require players have a Darkmoon Adventurer's Guide in their inventory. Speak with a Darkmoon Faire Greeter to obtain a guide. NOTE(s): For some extra info on which bosses are likely to drop certain artifacts, check out this Wowhead comments page. Dungeon and raid dropped artifacts can be sold and traded. Battleground drops may only be picked up by the player looting a slain opponents corpse, but they are Bind on Use and can be sold/traded. Dungeon dropped artifacts are only found from level-appropriate content. A level 85 toon in a level 35 dungeon will not see any DMF artifacts drop even if bosses in that particular dungeon have a chance to drop an artifact. As noted in the comments below, surviving the Darkmoon Deathmatch and looting the chest will award 5 extra Darkmoon Prize Tickets. The chest spawns once every three hours, starting from midnight. Only one person may loot the chest. Since pet collections are now account-wide, it's not necessary to acquire all 630 tickets on a single character. Utilizing alt characters to complete the dailies and other quests will speed up the process. Simply earn 90 tickets on multiple toons, and you will be able to add all of the pets to your collection in no time! Because Mini-Pets Grow Up Too? So, uh, remember Lizzy, a companion that was datamined in the past? Well... I think I found her? Or what appears to be a grown up version of her, that is! (Don't mind the little turtle in the pen, that's just my pet hogging screen time. :P) Apparently Lizzy's been hanging out at the faire all this time lol. Note: In all seriousness, though, the whereabouts of Lizzy (the mini-pet) is still unknown. It's still a mystery if/when this companion will ever be available to players. Only two more DMF pets on the PTR to go! Hopefully I got all my ducklings are in a row, and my calculations are correct. I should have enough tickets on two other characters to purchase the last two pets before the end of the faire (I started dailies late on two alts on the PTR), but we'll see. WoWJuJu has a short list of "special" pets that have unique animations or interactions. Here's part 1 and part 2. For those seeking information on which companions respond to emotes or who they interact with, check those pages out. I'm not sure if/when this new feature on WarcraftPets will be released, so keep an eye out for any updates to the website. It may turn out to be a guide rather than a search filter. UPDATE: Finally found a second artifact! Ornate Weapon dropped from the new Hour of Twilight heroic dungeon, off of the second boss. Unlike the bg artifact, where what you loot is what you get to keep, this artifact popped up as a standard uncommon item that party members could roll on. Both Need and Greed choices were available to click but I chose greed, so I'm not sure if it's actually possible to roll Need on it or not. Wowhead says that you cannot roll Need on it. I think only those with the DMF item that allows the acquisition of said items/artifacts could see/roll on it. As mentioned in my previous post, little is known about the DMF artifacts atm other than each starts a quest that rewards Darkmoon Faire tickets (5, 10, or 15). Unfortunately, they appear to be a one time turn in per month, or "monthlies". Going on a hunch after reading this Wowhead comment, I tried my luck with bgs instead of dungeons on the PTR. Despite not being an avid PVP'er and going in with full PVE gear, I managed to loot an Adventurer's Journal off a body! Yay! My first DMF artifact. After receiving a great question about the artifacts in the comment section of my previous post, I tested to see if these items are tradable. The answer so far is: YES. You can sell these items on the AH, mail them, and (although I haven't tried just yet) trade them. These artifacts are NOT Bind on Pick Up, so long as you don't right click it and accept its quest. What does this mean for pet collectors? This means that if you have an exceptional amount of gold to spare and these artifacts are all up on the AH, you could buy and turn in one of each artifact to the Darkmoon Faire each month (probably, but I haven't tested it yet, so don't take my word as fact), earning a max of 80 tickets on top of the other tickets gained from dailies and profession based quests. It would yield THREE pets each week the faire is in town (without the artifact turn ins, you only earn enough tickets each week to purchase two pets). This would cut down the time to acquire all 6 pets by one month (or by one faire week)! Instead of waiting for 3 faires to come to town, you'd only have to wait for 2! I'm still unsure where all the artifacts come from and how high the droprates are, but this is huge news for those who are seeking efficiency and "ease". Secondly, remember those Darkmoon Faire Artifacts that I mentioned in this post? The ones that start quests with the potential of awarding 5, 10, or 15 tickets? According to this Wowhead comment the artifacts and quests are a once per month deal and are not repeatable during the same week you turned your first one in. Keep in mind that if you manage to collect one artifact from each "tier" (5, 10 or 15) of the DMF artifact, and IF you can turn in one or more (different artifact) from each tier, you could still significantly reduce the amount of time it will take to collect enough tickets to buy all 6 faire pets. However, since these artifacts don't seem to be guaranteed and are possibly low drop rates, I don't feel confident enough to permanently integrate them into my estimation for how long it will take. My best guess is still about 3 months for all 6 pets, at a rate of 2 pets purchasable each week the faire is in town. I'm still trying now and then to see if I can find an artifact for myself on the PTR, but no such luck yet. Either I'm not trying hard enough or these artifacts are pretty rare. I've been hanging around the petting zoo area at the Darkmoon Faire on the 4.3 PTR, hoping to see Breanni the NPC again, and I saw something that I couldn't resist taking a screenshot of. I wonder what happened to Hornsley, from the old version of the Darkmoon Faire, though. Hope he was released back into the wild to rejoin his thunder lizard kind. Edit: Apparently Hornsley grew up! His pen is currently occupied by Crush, though, so maybe they rotate in and out of that particular pen. Two more Darkmoon Faire pets purchased while on the PTR, the Darkmoon Monkey and the Darkmoon Tonk. Note: They were purchased on two alts since it's unlikely anyone could have enough tickets to purchase a second and third pet on a single toon just yet. I still haven't seen any interesting idle animations from any of the DMF pets previewed on the PTR. It's a little disappointing since I can think of a few animations that would be appropriate for them. The Darkmoon Monkey could throw fruit at nearby players or NPCs (much like Nuts throws acorns). Or maybe the Darkmoon Zeppelin and Darkmoon Tonk could shoot their canons at other toys such as the Toy Train Set or even the Clockwork Rocket Bots. UPDATE: According to this Petopia thread, if you stick around long enough while Breanni's NPC is visiting the petting zoo, you'll hear her comment on the animals! Remind me to hang around a bit longer next time. I bought the Darkmoon Zeppelin last night on the PTR and it's a neat little companion. It doesn't really do anything that I can tell atm, which is a little disappointing considering it has this awesome looking mini-canon. Maybe it will be more lively once in the presence of another zeppelin pet, but for now it's just a fun little follower. I'm currently working on 3 alts on the PTR to make sure I can buy all 6 pets in this one week that the DMF is in town. All the information gathered after purchasing all the pets will help towards creating the pet profiles over on WarcraftPets.com! Previews of at least one to three pets should be coming soon. I'm still debating which pets I want to test out first. If they have any particularly neat animations, I'll probably take some video. Anyway, while waiting for the dailies to roll over and while I'm working on that strength quest (whew, 250 mobs is a lot for a resto druid! ), I decided to take some screenshots of the lovely balloon pets (even though they're NOT true vanity pets). Although these balloons are NOT true vanity pets and require the DMF to be in town, these two "pets" are pretty endearing. Take note of the vendor that sells these festive items, Carl Goodup. Does the name seem familiar? No? It's a nod to the Disney-Pixar movie "UP". He's married to Ellie, who also seems to have inspired an NPC. Ellie Goodup can be found wandering the fairgrounds as well. I think I've seen her walking an exotic, giant cat on a leash a few times! She was definitely the feisty and adventurous one in the couple lol. The movie is absolutely heartwarming and such a wonderful story, and I still can't watch it without tearing up during the first 10 minutes. I'm glad there are developers over at Blizzard who think so too, and thought it was worthy enough for not one but two NPC tributes. Come One, Come All - It's the Faire! For all 6 pets, a total of 540 Darkmoon Prize Tickets is required. Since ticket collecting seems very dynamic and probably depends on an individual's decision on how much time/energy they want to invest into saving up enough tickets, it's really tough to estimate how long it would take to acquire all 6 pets. If the profession based quests and the "strength" quest is repeatable once per Darkmoon Faire week (in other words, once per month or a "monthly"), and you finish the max of all 6 trade-skill based quests plus complete the dailies every day (including the night the faire comes to town, before the dailies roll over), I estimate 2-3 DMF weeks before you can obtain all the pets. You could probably buy at least 2 pets each time the faire is in town. Unfortunately it's note quite as clean cut as that, though. Note: Pet is on Papa Hummel's Old-Fashioned Pet Biscuits; actual size of the pet is smaller. Thanks to El's Extreme Anglin', the Sea Pony pet was confirmed as a fishing drop from open-water fishing on Darkmoon Island. The new zone requires a fishing skill of 75 for non-junk catches. With this knowledge in hand, I set out on the PTR to catch the Giant Sewer Rat version 2.0 lol. About an hour and a half and 190ish fish later, Sea Pony! I took some video of what it looks like since the summoning for this companion's pretty unique. Not in the video: The Sea Pony flies alongside its owner. I don't know if it's the name of the pet, it's large jewel-like eyes, or the little squeal vocalizations it makes when you click on it, but I find this pet absolutely adorable. :) It's just the sweetest little thing; I can't wait to fish and fish and fish for this companion in the next patch! PS: I'm REALLY grateful that there's an area where you can fish for it that's considered sanctuary. I'd rather not fear for my life while trying to fish for hours on end for the Sea Pony. So thanks to the developers for this one! Testing of DMF On PTR Begins! - old tickets CAN'T be used to purchase the pets, and are turned into "Tattered DMF Prize Tickets"
Keep in mind this is the PTR, and numbers and amounts could change before the patch is released. Follow me on Twitter if you want to keep up with the latest! Otherwise stay tuned for a full and more complete post on the new and revamped DMF and its pets. Click the break for more screenshots of the new pets! Cryptozoic has announced that they are releasing the WoW TCG Fall 2011 Class Starter Decks on December 6, 2011. The decks will cost $10.99 (USD). Unlike expansion decks, this special release will include card reprints from older decks and each class starter deck will be tuned so that new TCG players can pick one up and be ready to play. Most notably (from a pet collector's point of view) is that the Fall 2011 Class Starter Deck will have a chance of yielding pet loot cards from previous expansions, namely the Spectral Tiger Cub and Dragon Kite, amongst other desirable loot cards! For more information about this product, you can read more about the Fall 2011 Class Starter Deck here. As you can see, not all of the holiday pets are listed. Those that aren't included above may have also been changed to Bind on Equip, or they may not. Another thing to note is that the pets on the list are PURCHASABLE companions. They are the holiday pets that can be purchased from a seasonal vendor or from the AH. 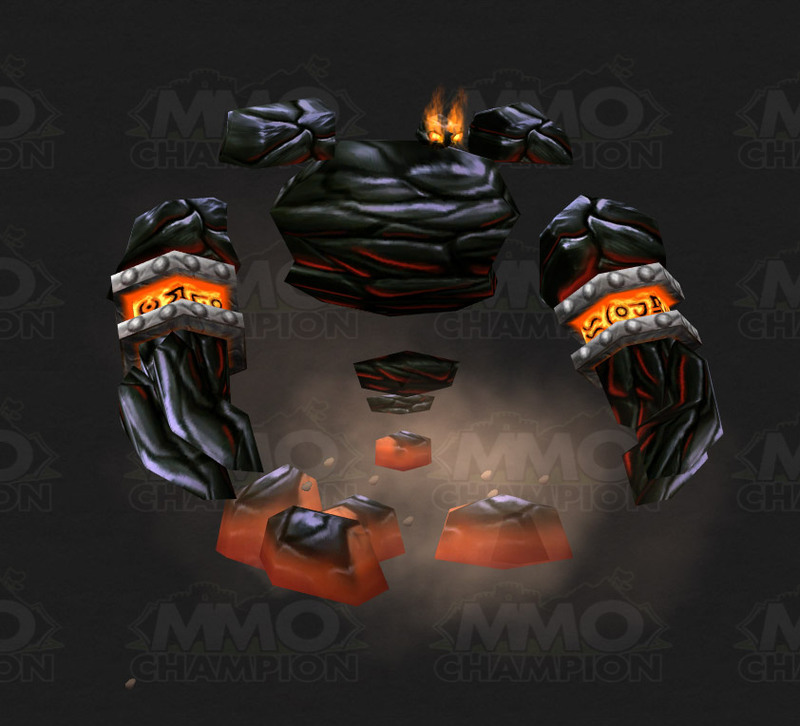 Pets such as the Frigid Frostling and Toxic Wasteling, which are currently exclusively found through the holiday loot bags after your first holiday boss kill of each day, are still showing as Bind on Pick Up on Wowhead's PTR database. We'll have to wait and see whether or not this change to the holiday companions goes live. Blizzard could change their mind before the patch's release date. Or it could just be a very big bug, but it's unlikely since this change seems to span multiple in-game seasonal events. Well, it's been 24 hours since the Guardian Cub was released, and people have started posting them on the AH and advertising them in trade chat. So far the going rate on my server seems to be 10k to 15k gold. But as was pointed out on WarcraftPets' Facebook, anything above 5k is a rip off. And anything less than 3k is a great deal! I'd say this is an accurate benchmark. Just yesterday a gold seller was spamming in trade chat that $15 (USD) would get you about 10k gold. So if we take the price of the Guardian Cub ($10), it should bring in at most 7k (and that's if you're not looking to make a profit, just a direct cash to gold conversion). Anyway, this is just day one of sales. I'm not going to actively follow the price trend but I'm going to make a point to check up on how the cub sales are going from week to week. It's an interesting situation for a companion pet, and one of the first of its kind. 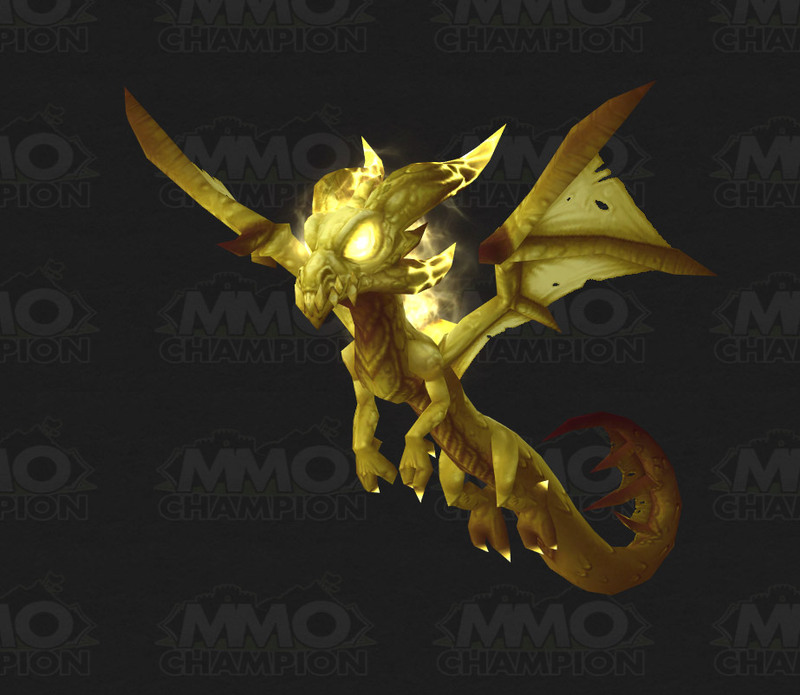 Both Wowhead and MMO-Champion are doing giveaway contests for the new Guardian Cub! MMO-Champ has 15 cubs to hand out and Wowhead has 3 cubs. Simply sign up and leave a comment on the threads linked above and you'll be in the running for the random drawing. MMO-Champion's contest ends 24 hours (starting from the date/time of the post), while Wowhead will be doing their random drawing 5 PM PDT on November 2nd. "Orphaned by its titan creators, the fledgling Guardian Cub has taken wing to look for a happy home." Well let me be the first to say the titans must be crazy to let this cute little one go! The infamous and somewhat controversial FIRST single-use PetStore companion is now for sale for $10 (USD). Much like I mentioned before, IF Blizzard makes pets account wide in the future (hopefully in MoP) or at least accessible to all toons on a server, then this pet will effectively become just like the other PetStore companions (although I'm not sure if FUTURE characters made on the server after you add a cub to your collection will count or not). We'll have to wait and see on this feature, though. Since this pet has a 24 hour cooldown on it before it can be traded or sold in-game, there aren't any up for sale on the AH yet. I'm curious to find out how people will price this pet and how long it will take before sales drop off and players stop selling it altogether. Hallow's End is over, but there's still one more holiday to celebrate before Pilgrim's Bounty. Day of the Dead! BTW, it looks as though the bug of previous years has been fixed, and you should be able to complete the quest that rewards the Macabre Marionette even if you've completed the quest a previous year. Remember, in order to access the quest you must have your Bouquet of Orange Marigolds equipped. Use it to see the ghostly NPC of your race that hands out the quest. You can purchase a bouquet from the Day of the Dead vendor located next to Catrina. A definite place to complete the quest is Dalaran if you're having trouble locating a spirit to give you the quest. Wowtcg.com has the (first?) preview of the Purple Puffer pet! Note: The Wowtcg page states that this pet is Bind on Equip, but Wowhead and MMO-Champion's database is listing it as Bind on Pick Up. It's unclear which is true, but in the past most TCG companions have been Bind on Pick Up. With the changes Blizzard is making to pets and especially PetStore and TCG redeemable ones, it's tough to say and we probably won't find out for sure until Patch 4.3 is released. I can't wait to see this FIRST aquatic pet on live servers! Something that I noted during the recent MoP Developer Q&A was a poll that asked "Excited for Pet Battles?!" The results of the voting shouldn't be taken as concrete stats or seen as a complete representation of the entire WoW and pet collecting community, but I just found it interesting that the 'very excited' vs the 'very not excited' votes were close. 27% to 24%. To top it all off, the more moderate option took the cake with 30% of the votes. I can't wait to see how the interest will shift and what a future poll with similar or the same options will turn out, once more information and details about pet battles is released. If you'd like to view the poll, simply go to the Wowheadnews page with the Q&A full transcript, and there should be a large clickable box in one of the sections. Hit replay and you can see the entire session (polls, pictures, and embedded video included). - Devs hope to implement experience gain from pet battles. Not enough to level just by participating in battles, but enough so players feel rewarded. - Players will be able to toggle pet battle duel invites on and off just like normal duel invites. - Players will be able to duel other players in pet battles, but there will also be a queuing system in which players can pet battle/duel other trainers of similar level. - Pet battle combat = "simple combat system with some engaging depth". - Possible pet battle spectating mode. I'll be adding more as the Q&A progresses. The session is over! I asked a few questions concerning pet battles, but unfortunately they weren't cool enough to be answered and/or there wasn't enough time to get around to them. *sad face* Oh well, maybe next time! For the full questions and answers (only the pet Q&As), hit the break. That's it! They will be picking the winners on November 2nd at 12:00PM PST, so be sure to get your comment in before then. For the full list of rules and other details, visit the link above. Good luck to everyone entering! 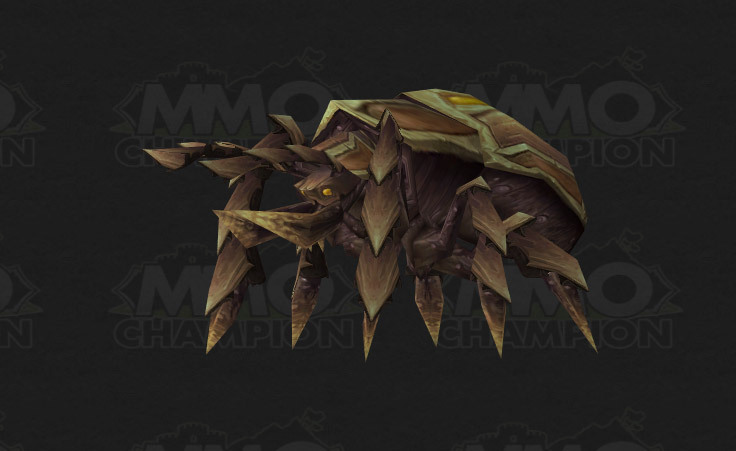 MMO-Champion is reporting another new pet that's been datamined from the latest PTR build. Yes! Another possible new pet. :D Soul of the Aspects! Could this be the companion who's model was datamined by Wowhead not too long ago (Chromatic Dragon Pet)? Perhaps the new rogue legendary weapon guild achievement reward? From the looks of the pet's item icon, it does strike me as similar to that of the Chromatic Dragon Pet model. Unlike Lil' Tarecgosa, though, this companion is BoP and not Bind on B-net account. So maybe it's not the next "legendary" pet. Whatever this vanity pet might be, it sounds pretty epic. *Insert giant echo'ing voice* SOUL of the ASPECTS. It just sounds awesome lol. I've added it to the list of possible new pets in 4.3, and hopefully we'll see a preview of this companion soon! More Card Loot? Loot Cards? The producers for Blizzard's WoW TCG, Cryptozoic, is coming out with another card game based on WoW. It will be called 'Clash of Champions' and is scheduled for release in spring 2012. My biggest question: could this mean an opportunity for more loot cards? Specifically... companion pet loot cards? :P So far there's no definitive answer. Keep in mind 'Clash of Champions' will be an entirely separate card game from the TCG that currently exists. From what I understand, the objectives will be different and possibly the gameplay. Maybe there won't be any room for loot cards in this new WoW card game, but we'll have to wait and find out. The newest Lawbringer post on Wowinsider made an interesting point about the Guardian Cub. It's under "Buying something that's not for sale" in the article. I think Mathew McCurley sums it up pretty well when he writes, ""No, you can sell this but not this" is a hurdle for many casual players and a bit of a leap in logic that not everyone could be clued in on." And I definitely agree that there needs to be some sort of large (and very, VERY specific/clear) disclaimer, public service announcement or something to alert everyone of the difference between the older PetStore companions and the new, upcoming Guardian Cub. Otherwise, there are going to be even more players duped by gold sellers and other scammers, and I'd hate to hear about a situation like that souring pet collecting for anyone. I mentioned that I would dedicate an entire post to the topic of pet battles, but after reading a blue post response to pet battles... I just feel compelled to say this here and now. Maybe I'm just having a knee-jerk reaction, and with time I'll see a clearer and more logical side to this, but right now I just can't hold back my frustration and irritation. I find this statement and the whole concept of pet battles contradictory. I'll explain why in a moment. Note the bold portion of this statement. Alright, so pet collectors. What do collectors desire? Namely classical pet collectors who really have no interest in putting their pets in battles. To acquire as many companions as they can, right? To complete their collection by adding to it all the pets that are currently available. What if there are pets that are available but ONLY if you participate in pet battling...? Now, this pet battling feature is supposed to be "optional" yes? But in the end is it really? Especially for classic collectors? I'm back at home and I've finally managed to catch up on stuff that needed attending to. Now it's time to take a closer look at all the new info that was shared at Blizzcon 2011! The biggest thing of course is pet battles, but I'm going to save that for a post of its very own. It's a huge topic that I could probably go on for pages and pages about, so I'll save that for later. First and foremost: According to Doobjanka's post on the WarcraftPets Facebook, the revamped Darkmoon Faire will NOT be reputation based. "Exalted rep get[s] no benefits towards the new pets." This is exciting news for me since I still have yet to hit exalted with the faire! I hope that those who have already reached exalted with the DMF get something awesome from the faire upon its 4.3 release, though. It's quite a feat to stick it out and grind through it. I don't think I'm even halfway and I'm exhausted! There are other things that I have questions, comments, and thoughts about though. All of it after the break. A big thank you to all the admins of WarcraftPets, and especially Breanni for a lovely dinner! It was great to be able to discuss everything from WoW to Starcraft and D3 to (eep) black widow spiders haha. Other than more play-testing and hanging out with guildmates, day two of Blizzcon 2011 was pretty tame.